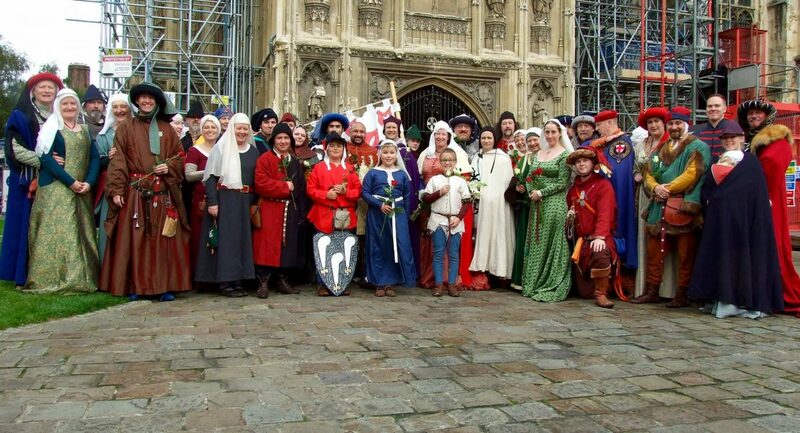 We have worked for several years for English Heritage and performed at well-known heritage sites such as the Tower of London, Canterbury Cathedral and Battle Abbey. The Paladins have appeared regularly on television, working for the BBC, ITV, The Discovery Channel and Channel Four. We are also invited to perform at local schools, charities, craft fairs and youth organisations. Our members come from all walks of life and a diverse range of backgrounds. None are professional historians; we research and teach ourselves everything we need to know. Do not be fooled by this, though. Some of us have been doing this for over 25 years and the passion for history, knowledge and experience that our members have is evident when we interact with the public. Find out what is involved in getting the Paladins of Chivalry at your event. Want to join a group of fun people in recreating medieval combat, crafts and skills? We get asked a lot of things about what we do. Perhaps the answer to your question is here. Who can become a Paladin? Reenactment is a family-friendly hobby and we are always happy to talk to anyone who’s interested in joining! Some of our members attended their first shows at the age of 6 weeks, others at 60 years of age. Everyone is welcome and the only prerequisite is an interest in history, willing hands, and a sense of humour! To help us to prepare for the shows, we hold weekly training sessions where you can learn sword fighting and dancing, and get advice from more experienced members. Please come and see us every Tuesday from 8 - 10pm at Beverley Hall, 89-91 Grant Road, Croydon, CR0. The Hall is at the end of a small alleyway, go through the arch! If you are driving, parking can be a bit of a problem in this residential area.